If you’re not, you may actually live under a rock. 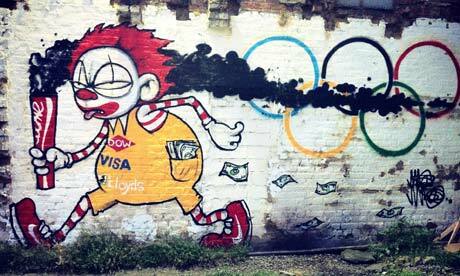 The London Vandal recently reported that a series of raids across London led to artist arrests during an attempt by the police to ‘sanitise’ London in preparation for the games. We’ve seen similar articles all week, covering everything from Police having to put crisps into clear bags to avoid rival brands from gaining any exposure and various coverage on the Olympic ownership. You can read the full article over on their site, leave an opinion, here or there – what do you think? NB: The New Statesman further reported that only 4 arrests had been made, not the initial 30 as expected.